The discourse surrounding the health and environmental benefits of growing your own fruits and vegetables is growing in awareness, and for good reason. Many people are choosing to utilize their backyards and lawns with Fleet Farming to cultivate gardens of fresh produce, but what can those living in an apartment or renting a home do without space or permanence? Here are some easy tips to start your garden without any need for a big yard. So many basic vegetables actually grow well in various sized containers. Raised beds are one of the most popular ways to grow gardens at home, but without a backyard they can be unrealistic for small spaces. Used for growing small plots of vegetables and flowers, raised beds provide barriers for weeds and pests, as well as proper drainage. If you think about it, raised beds are almost just like very large pots, but can take up valuable space in a small home, and are not as portable. With only a few pots it’s no problem to plant some basic vegetables and herbs in small containers to place out on a balcony or close to a window. There are also tons of tiny greenhouses available to buy for a low cost that can store and help grow your small space vegetable garden. Vertical gardens are also a growing trend, and can help save space. 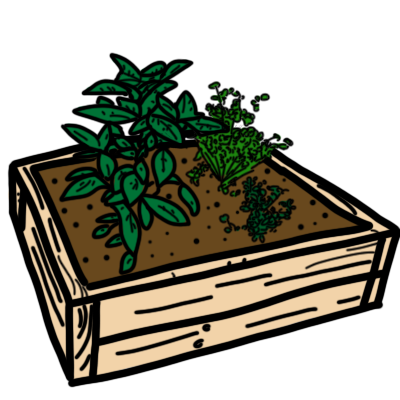 For the DIY savvy, building small garden boxes that resemble raised beds can also be a great option. Creating your own garden box is great to customize the dimensions and shape to fit your spacial needs, and can be made portable so when the lease is up there’s no worry of how it can be transported to a new home. One of our interns at Fleet Farming used leftover wood at home to make a small garden box that can fit easily on the back porch, and is light enough to be moved when the lease ends. The most important tip we have is to just get started. If a plant dies, it’s important not to give up! Try again in a different location of your house that might get more or less sunlight, or try spacing out watering. 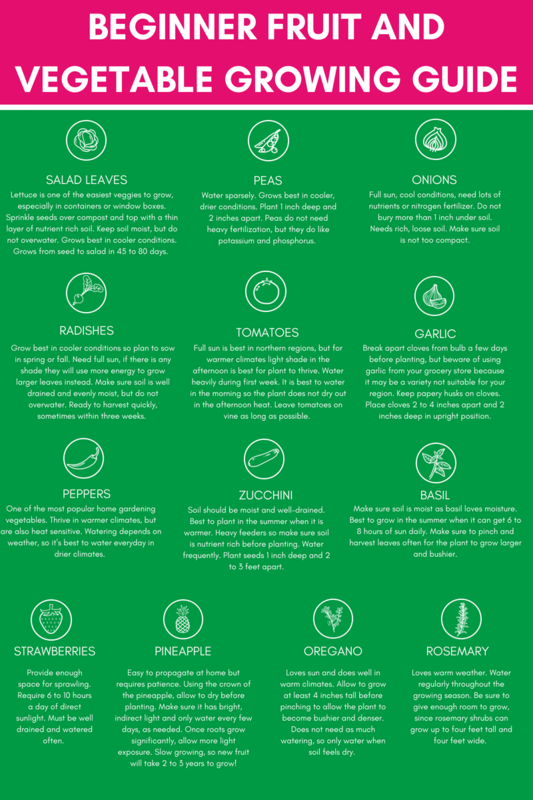 Read tips online for individual vegetables or fruit you are trying to grow and don’t be afraid to change up your methods. Fleet Farming’s mission is not only to turn lawns into gardens, but raise awareness for the farming epidemic in our nation. Fewer people are growing their own food or being self-sustaining because of the convenience of grocery stores and shipping produce globally. Not only is gardening from home more sustainable and less expensive, it can bring families and communities together. Check out our upcoming blog on the emotional benefits of farming and learn more about how starting your own garden can help in many ways. If you are a homeowner and would like help getting started, contact Fleet Farming to install your own food forest and raised beds. We will do all the work for you!